Dry conditions this winter, which are forecasted to continue over the next few months, have affected streams that feed Alabama Power reservoirs. To help Alabama Power lakes reach summer levels later this year, the company sought and received approval from the Army Corps of Engineers to temporarily store water at higher-than-normal levels on three reservoirs: Weiss and Logan Martin lakes on the Coosa River, and at Lake Harris on the Tallapoosa River. These temporary variances are designed to take advantage of winter and spring rains to store additional water and improve the chances that Alabama Power’s reservoirs on the Coosa and Tallapoosa rivers can reach full summer pool. 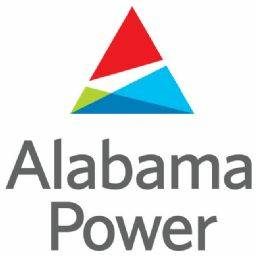 Alabama Power will continue to closely monitor conditions on the lakes and manage the limited water resources carefully. Individuals with boats and other water-related equipment and facilities should be aware of these temporary lake level variances. All lake users and property owners should always be alert to changing conditions on Alabama Power reservoirs and be prepared to take the necessary steps to protect their property. For details about Alabama Power lakes, visit https://apcshorelines.com/ or add the free Alabama Power Shorelines app to your mobile device. To view specific lake advisories, click on the lake name and then click the circular information icon. Individuals can also call Alabama Power’s automated Reservoir Information Line at 1-800-LAKES11 (1-800-525-3711).